316 p., 1 ill., 15,6 x 20,9 cm. This book presents, firstly, a broad interpretation of F.W.J. Schellings Stuttgarter Privatvorlesungen. These are a series of lectures which were given in 1810 for a group of high functionaries. Using the three topics God-Nature-Man as my guiding thread, I unravel Schelling’s arguments for the design of a system. I show how these arguments are already effective in his Freedom Essay (1809) and how they are developed later in the Ages of the World (1811–1815). 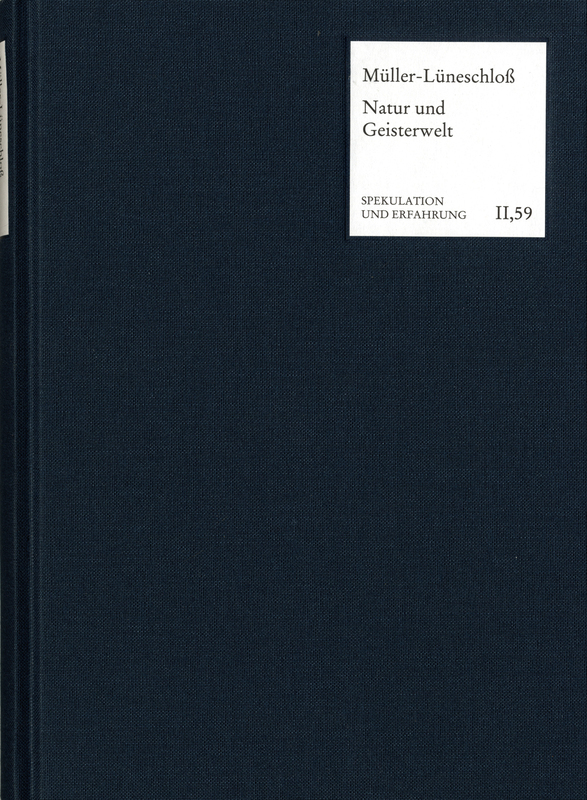 On the other hand, I also study the philological and historical origin of the Stuttgart-Lectures, paying special attention to new sources: the correspondence K.A. von Wangenheim – J. Niederer – F.W.J. Schelling. This correspondence is printed and commented in an annex. The topic of the letters is the establishment of Pestalozzi’s teaching methods in Württemberg.